#Decide what is hot and what is not: Caterers need to ditch the same old spicy platters soaked in excess oil. People nowadays want to keep it tasty yet healthy. Plan the menu with low fats and high protein foods. 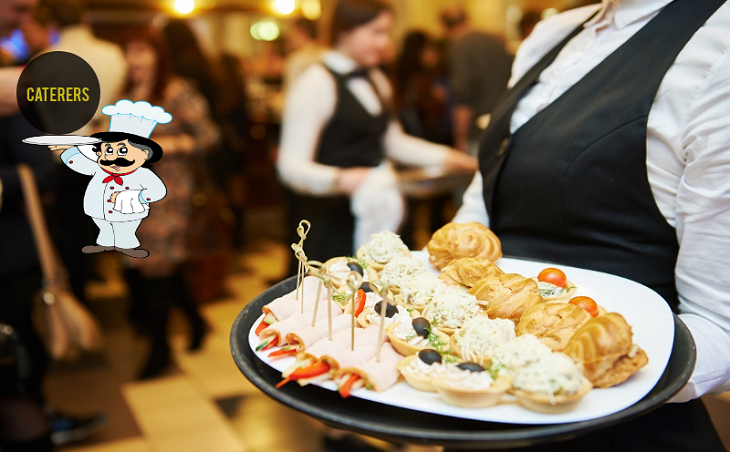 #Serve destination- specific cuisine: To serve local cuisine in the area where the event is being held is a complete bang on idea. Caterers must keep in mind that people love to get a taste of the native or local dishes of a place. E.g. If you are in Seattle, Washington, you should include Dungeness crab. It is one of the most iconic foods in Seattle and can be served in ample ways like in stews, pastas, sandwiches. #Garnish it well: To appeal to the eyes is the inherent mantra to attract immediate attention. Caterers who follow this tip can go a long way in this field. Be it with the food or the ambience and decorations, make sure you provide people with an amazing visual delight. Garnish the dishes well so that it appeals to the guests’ eyes and they do not want to miss the chance to taste it. #Turn on the Classic Content: Give your guests retro vibe with a classical content and stir their nostalgic strings. Spaghetti, burgers and the scrumptious affairs of the meat balls never go out of fashion. Mingle these age-old favourite items with a dab of new ideas. E.g. you can stir the spaghetti with roasted bacon and even shrimps, instead of the quintessential tomato sauce splurged pasta. Fried spaghetti also known as spaghetti fritters is a viral trend now. Why not try it? #Healthy and small snacks: The snacks to be served prior the main menu should be significantly small. You can grab on to some baby corn or salads to shut that grumbling tummy up and sip on to some appetizers to make it growl again for the main course. #The Vegetarian Vibe: All the vegans out there should not feel left out. Keep a variety of options in the vegetarian corner too. The newest in the vegan list being cantaloupe burgers, which look and taste almost like meat bit isn’t so. Vegetarian appetizers like shaved green asparagus salad with toasted rye bread crumbs and lemon truffle olive oil and a Tuscan frittata cupcake can be included. #The Cocktail Corner: It is said: “If the ambience is right, you'll get your high on a mocktail in a cocktail glass, as it is a guilt-free drink.” After a sumptuous meal, guests love to sit back and drool over a glass of a cool drink. “All’s well that ends well”, so to end it on a pleasant note give special attention to this concoction. People’s tastes and desires change with a change in times. In this situation, professionals who cater to the delights of people must necessarily incorporate the latest ideas to please them. 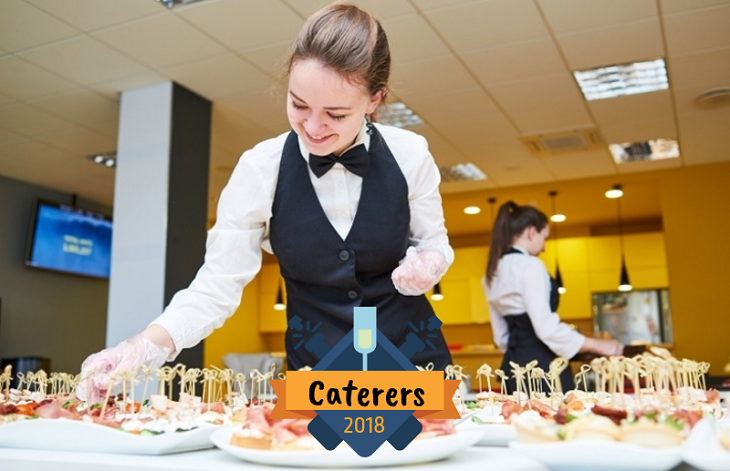 Like any other field, the world of caterers is also a place of cutthroat competition. If you want to be a part of the race and reach the zenith of glory, use your wisdom well and follow the latest trends. These trends that caterers would follow to increase their business.